This extensively renovated home is the perfect spot for you and your family! Situated on over 2 acres of beautiful land - which can be subdivided if you desire. This classic home offers a gracious front porch, grand formal living and dining room and a great gourmet kitchen which opens to a big family room. The serene downstairs master bedroom has been updated and features a spacious bathroom. The additional upstairs bedrooms each have their own bathroom. This home has ample storage space and a large 3+ car garage with built-in storage units. Looking for space? You'll appreciate the expansive property which can be divided into another buildable lot. 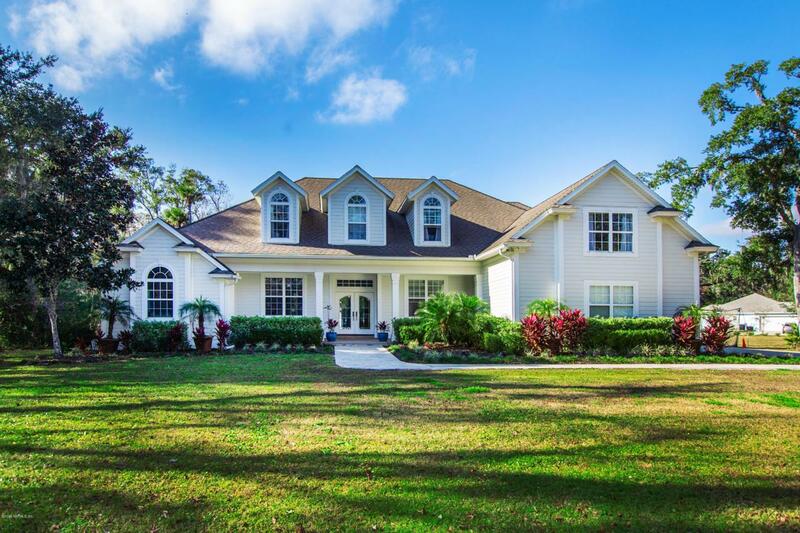 This area is zoned open rural allowing for horses, chickens, etc.The ideal location is in the heart of Ponte Vedra Beach which offers excellent public schools, world-class golf and a resort life-style. This home is also super close to fine dining, boutique shopping and just a few blocks to the beach and deep water access on the Intracoastal Waterway. PLUS, there are no HOA fees or CDD fees!